Free Shipping Included! Linnea Design 2019 Poster Calendar 14 X 11 Inches Art By Johanna Riley by Linnea Design at HoldUp Art. MPN: W19p. Hurry! Limited time offer. Offer valid only while supplies last. 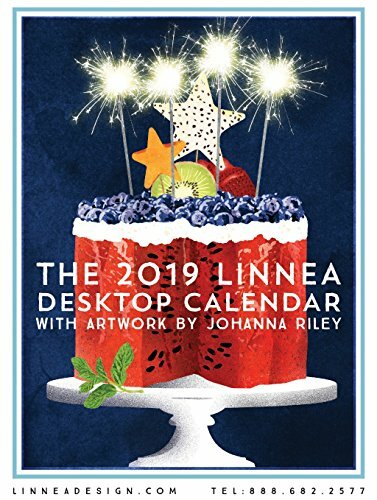 Linnea Poster Calendar for 2019, Artwork by Johanna Riley. Twelve 11'' x 14'' posters to hang on the wall... One for each month... Art for each month! Linnea Poster Calendar for 2019, Artwork by Johanna Riley. Twelve 11" x 14" posters to hang on the wall... One for each month... Art for each month! This calendar is unique, popular, collected, and quickly becoming a family tradition. If you have any questions about this product by Linnea Design, contact us by completing and submitting the form below. If you are looking for a specif part number, please include it with your message.